1. What Are Mutual Funds Load Charges? 3. What Is a Closed-End Stock Fund? A stock mutual fund is a portfolio of individual equities managed by a professional investment management company. When investors buy shares in a mutual fund, that money is used to invest in additional stocks; each fund shareholder owns a portion of the total investment pool. The investment managers buy and sell stocks using their professional expertise, with shareholders participating in the gains or losses. Stock mutual funds offer many benefits including diversification and professional management. However, there are some disadvantages to owning mutual funds as well, from tax ramifications to costs. Although stock mutual funds can offer "one-stop shopping" for some investors, they're not without their own risks. Mutual funds aren't inherently good or bad – they simply have advantages and disadvantages. What works well for one investor might not be appropriate for another one. The good news is that the pros and cons of mutual funds are not a secret. It's up to an individual investor to determine whether the advantages outweigh the disadvantages. The advantages of mutual funds are professional management, diversification, the ability to reinvest dividends, convenience, and net asset value pricing. The disadvantages of mutual funds are sales charges or commissions, ongoing expenses, tax inefficiency, and slow execution times. For most investors, the primary benefits of mutual funds are diversification and professional management, while the main negatives are costs. Buying individual stocks can be a risky proposition. Stocks can be notoriously volatile. Even long-term winners, like Netflix, can suffer through horrendous short-term losses. For example, in from June until December 2018, Netflix stock cratered more than 30 percent, even though it has a stellar long-time performance record. Even well-known companies have declared bankruptcy in the past, resulting in a total loss for shareholders. If you put all of your money into a single stock, you're risking your entire bankroll on the fortunes of one company; if things go bad, you could lose all your money. Stock mutual funds can reduce this risk because they invest in a diversified portfolio, sometimes reaching hundreds of stocks or more. The benefit of mutual funds for investors is that with a large, diversified portfolio, a few stocks that are losers won't drag down the entire investment. Imagine you own a mutual fund with 100 stocks. Let's say 99 of them go up by 10 percent in a year, and one loses all of its value. The mutual fund's total return in this scenario would be 9.9 percent. The losing stock only cost the entire portfolio 0.10 percent. If, on the other hand, the only investment you had was the one losing stock, you would have lost all of your money. The truth is that it's hard for individual investors to "beat the market," or outperform the widely quoted S&P 500 index. It takes a combination of superior analytical skills, extensive stock knowledge and the ability to overcome the emotions of fear and greed. Theoretically, professional money managers have these skills, this knowledge and this behavioral control. But even if a mutual fund manager may or may not be able to beat the market, for many investors, handing over the responsibility of making investment decisions to a mutual fund manager is worth it. The alternative is spending lots of time doing stock research, which many investors are neither willing nor able to do. Mutual funds are priced only once per day, after the stock market closes. This value, known as the net asset value, is the total value of all the stocks in the fund divided by the number of outstanding shares. The good news about this mutual fund pricing structure is that you'll always get the true value of what's in the fund when you buy shares. The negative is that you can't buy or sell shares in a rapidly moving market; if you know the market is going to drop dramatically on a certain day, for example, you can't get out until after the day's trading completes. Another negative in the pricing structure is that although you'll receive shares that are fairly priced at the fund's net asset value, it may cost you a fee to get those shares. Mutual fund companies have to pay the bills, and they generate their revenue by charging fund fees and expenses. These fees and expenses are one of the main disadvantages of equity mutual funds. Mutual fund loads used to be more prevalent than they are today, but there are still plenty of funds that charge them. Some funds charge sales loads upfront at the time of purchase. For example, a fund might charge 5 percent to buy the fund at the time of sale, meaning you'd pay $50 on a $1,000 purchase. Other funds may charge a contingent deferred sales charge, meaning you pay nothing upfront but pay a fee when you sell your shares. No-load funds, as the name suggests, charge no fee to either buy or sell shares. Nearly all funds, whether they are load or no-load, carry ongoing expenses. Often referred to as the expense ratio, these annual expenses pay the costs of running the fund. For a typical large-cap stock mutual fund, these annual expenses might eat up 1.25 percent or more of a fund's profits for the year. Tax considerations aren't usually the primary driver behind mutual fund purchases or sales, but they are a factor that investors should consider. Mutual funds are generally considered to be inefficient when it comes to taxes since all gains are paid out to investors equally, usually at the end of the year. Regardless of whether or not you've benefited from the gains of a fund, if you own it when the capital gains distribution is paid out, you're liable for the income taxes on that gain. This is a major drawback compared to owning individual stocks. If you already have realized capital gains for the year, for example, you can choose to sell a stock at a loss to offset that gain. Similarly, if you have already realized a loss for the year, you can sell a stock at a gain and suffer no tax consequences. With individual stocks, you can also choose to sell only stocks that have long-term capital gains, which can be taxed at a rate as low as zero percent, as opposed to taking short-term capital gains, which are taxed at your ordinary income rate. With a mutual fund, you might be forced to pay tax on short-term gains that are passed through to you. Most mutual funds allow you to reinvest dividends into additional fund shares at no added cost. This is an easy process because mutual fund companies sell fractional shares, meaning your entire dividend can be reinvested. Additionally, many mutual funds pay dividends monthly, allowing investors to take advantage of both dollar-cost averaging and compounding. Dollar-cost averaging refers to buying more shares when prices are low and fewer shares when prices are high. Compounding refers to earning interest on interest; in other words, by reinvesting, you'll earn interest on the dividends that you have put back into the fund. With individual stocks, it can be harder to reinvest dividends. In many cases, you're not allowed to purchase fractional shares of stock, meaning your dividends generally pile up until you have enough cash to pay for an entire share. Investopedia: What Are the Advantages and Disadvantages of Mutual Funds? Investopedia: What Happens to the Stock of a Company That Goes Bankrupt? Investopedia: Can Anybody Beat the Market? The Motley Fool: What Is Compound Interest? 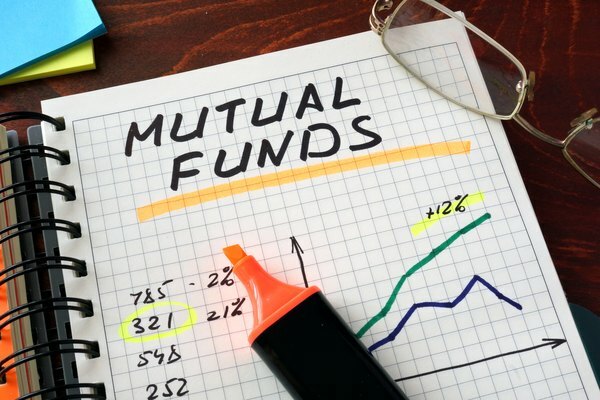 What Are Institutional Class Mutual Funds?